While I am a huge proponent of anymethod that instills in children a sense of awe and wonder about nature, most of these projects involve feeding some type of bread product to your backyard birds: donuts, bagels, stale bread, etc. The idea is to take a bagel, a donut, or other bread product and coat them with peanut butter and roll them in bird seed and then hang them about your garden for the birds to enjoy. But these bread products are not a good choice for feeding birds, and may also be quite harmful. Imagine if you took your small children to McDonald’s every day. They may get filled up with that food, but do you really think that’s providing all the nutrition your children need? It’s the same thing with birds. Bread is junk food for birds, providing very little nutritional value and very little in the way of energy to survive the winter in our wildlife gardens. At this time of year birds need the right balance of lipids and fats to supply their energy needs. And they do not receive this from bread. Moldy bread can poison and kill birds, and salmonella is a big concern, too. Bread products mold very quickly when exposed to moisture, which is exactly what we’re doing when we hang our bread product bird “treats” in our gardens. Diseases from moldy bread can cause feather malformations, making the birds unable to fly. Other diseases can also cause respiratory illness and even death. 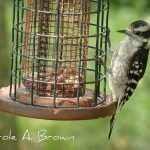 You can have the same enjoyable experience with your children and create treats for the birds in your wildlife garden by replacing those bread products with pine cones. You’d still dip them in peanut butter and roll them in quality bird seeds, but you are not creating a health hazard for your avian friends. The idea of a wildlife garden for the birds is to help them, not cause them any harm. So please don’t feed your birds bread. 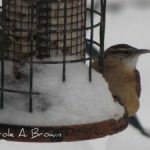 While I have nothing against bird feeders, the way I see it they are more for me to be able to get a closer look at my winged bird visitors. 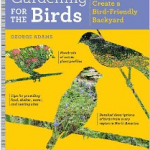 You can expand the value of your wildlife garden to birds by planting a wide variety of native plants that will provide for all of their needs. 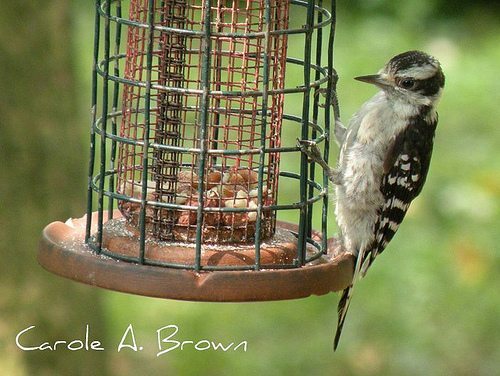 Birds enjoy seeds, nuts, berries, and the insects that will be attracted to your native plants. It is these plants that provide all of the nutritional needs of the birds in your Ecosystem Garden. 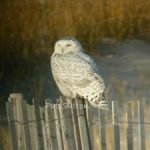 When you go beyond the bird feeder and plan your wildlife garden to support birds, butterflies, pollinators and other wildlife through all of their life cycles and through every season of the year, you are really making a difference. And that is exactly what Ecosystem Gardening does. You’ll be creating natural habitats in your garden so that you will attract more wildlife. Is Sugar Bad for Hummingbirds? 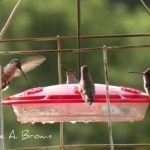 How Long Should I Leave my Hummingbird Feeders up in the Fall? Wow , i should have investigated this first , i thought exactly like most people , by not throwing away bread , as to feed the birds in my back yard, sad , im glad i googled this, not to late , ill get a 25 lb bag of bird seeds , thanks again ,Byrd out ! !